Patricia Mary (Beck) Wadsworth passed peacefully in Vancouver following a long and courageous battle with Alzheimer’s disease. Pat completed the five-year combined Nursing program at UBC and Vancouver General Hospital (VGH) in 1955 and a Master of Adult Education degree in 1970. She also completed Fellowships in both the Canadian and American Colleges of Health Care Executives. Pat held many senior positions in health care, including vice president of Nursing at VGH and executive director of the BC Health Association. Pat always had time to dedicate to nursing causes. 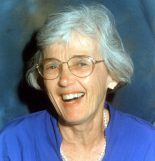 Later in her career, Pat was a highly sought after consultant as well as a pioneer in Health Care Accreditation in Canada. She was the recipient of innumerable honorary distinctions in recognition of her contributions. She put her stamp on many things, and her natural leadership and mentoring skills inspired many others to go on to do whatever they wanted, regardless of gender. Pat will be greatly missed by many friends and family.